If your door lock is broken or worn-out you might be in need of the residential lock repair. The main reasons to repair a house lock are: break in, key is broken or stuck in the lock, the lock is jammed or it doesn't function properly. In the above mentioned and other cases, we aim to deliver the best of our resources to help you. In many situations, lock repair can be solved with just a minor adjustment of the lock. Therefore, in some cases, when the lock is in a high potential of causing issue in the future, we can also replace it on the spot and make sure you avoid the situation to happen again. We have the most extensive range of locks to replace your damaged locks. You should always watch out for any malfunction with your door lock. As soon as you notice any issue, it's time to care of it. In case of a burglary or break-in, make sure it’s your top priority to find a professional locksmith to repair the damaged lock. Ignoring a faulty lock, or a lock which doesn't function as it used to, may put you in a lockout situation and cause the inconvenience. We work 24/7 to help you make your home as secure as possible. 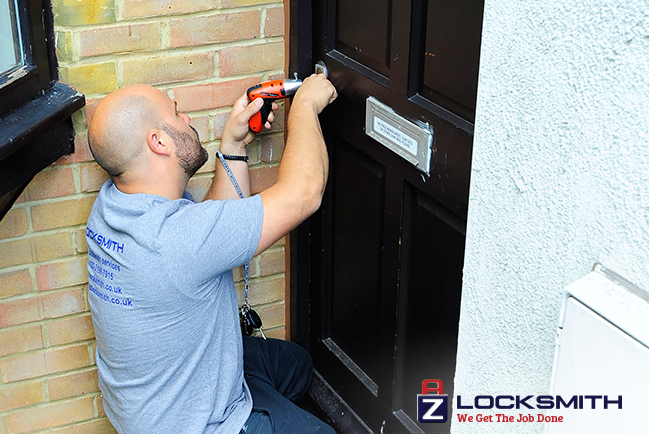 Our locksmiths are well-trained and licensed to handle any lock issue for your home. With just a single phone call, we are ready to offer all repair assistance including weekends and holidays. And we always offer a flat fee over the phone, with no additional charges.